Published December 14, 2011 at 650 × 410 in What’s New? A Wonderful Holiday Jewelry Show! One in sparkling aqua and sterling silver accented by tiny freshwater pearls and a luminous white coin pearl fob. 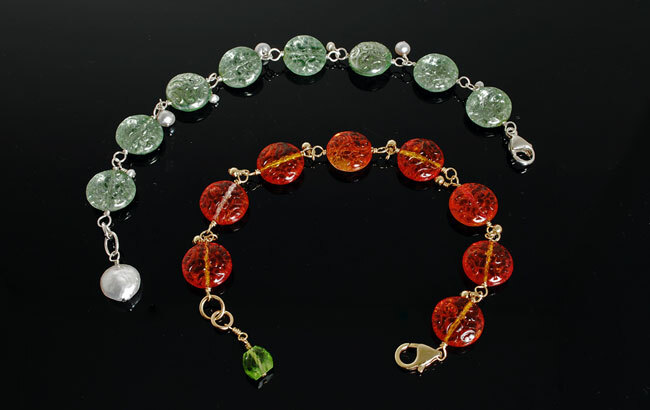 The other in juicy watermelon and 14K GF accented by tiny gold filled balls with a peridot fob. 7.5″ long.